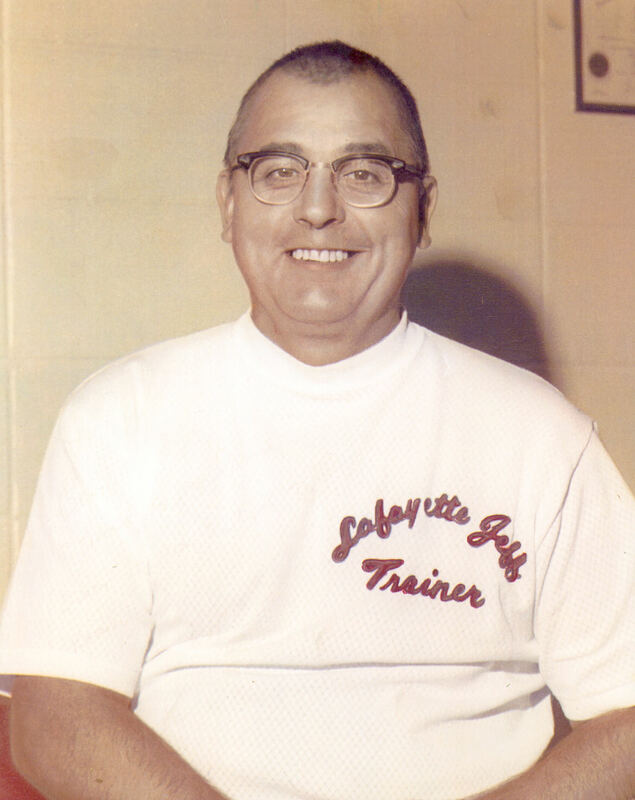 A 1949 graduate of Purdue University, Cordell began his 22 year career as the athletic trainer at Lafayette Jefferson High School in 1952. He earned his masters degree from Purdue in 1956. Harold was one of the first certified athletic trainers to be employed in the high school work setting in Indiana. Over the course of his career, Harold was the athletic trainer for 20 sectional, 16 regional, six semi-state, and one state basketball championship team along with two state baseball championships. He died in March of 1974, the night before the state finals. Harold touched the lives of many young men and women. As a result of his legacy, the Harold E. Cordell Broncho Award is presented yearly to the top male and female athlete at Jeff High School.